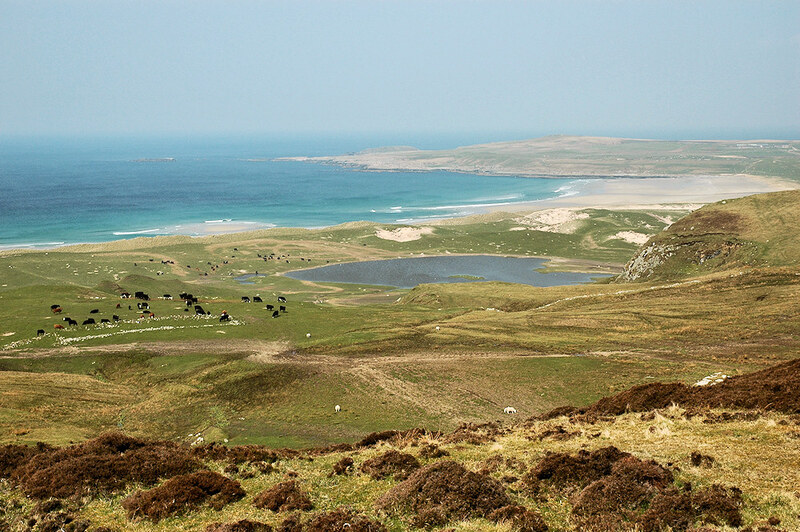 A view from the Kilchoman crags over the machair and dunes at Machir Bay on the west coast of Islay. Cattle from nearby Rockside Farm are grazing in the machair. This entry was posted in Beaches, Landscape, Repost, Sunny Weather and tagged cattle, Islay, Kilchoman, machair, Machir Bay by Armin Grewe. Bookmark the permalink.